The internet makes it a difficult place to judge perceptions, especially when it comes to cars and automobiles in general. Normally, the most vocal are the die-hard enthusiasts, with the common consumer sitting on the sidelines with a more grounded opinion. If you’re vocal on a website, you care and you care deeply about a vehicle, product, so on and so forth. That is no different when we talk about the Holden Commodore, and we get plenty of enthusiasts across the globe to chime in on the beloved, home-grown sedan. Hell, I’m an enthusiast and I get it. I bought a VF Commodore (Chevrolet SS). No, the Commodore may not originally have Australian roots, but over decades, it has become a defacto display of Australian motoring. So, when Holden unveiled the 2018 Commodore, you can only imagine the reactions we received regarding the imported-from-Germany sheetmetal. However, if we dig deeper, it’s not what it seems initially. Personally, I like to engage with the community and try to grab a snapshot of feelings. When it comes to the 2018 Holden NG Commodore, I’ve found one overarching thing: it looks good, seems good, but it’s not a Commodore. Has Holden made a mistake in keeping such a sacred nameplate? After all, Ford retired the trusted Falcon nameplate with the demise of its local manufacturing operations, paving way for the Ford Mondeo (Fusion) to take its place. Holden could have easily followed suit and buried the Commodore name to make way for the Holden Insignia. But, as someone who studied marketing, I get it. It’s tough to let go of a nameplate with that much cache. Everyone knows Commodore, and what’s that old saying? There’s no such thing as bad press? That’s not even to say the 2018 Commodore has gotten bad press. Australian press walked away delighted with the upscale cabin, buttoned-down driving dynamics and more. Let’s not kid ourselves, either, the 2018 Holden Commodore looks good. No, it certainly isn’t the traditional, three-box sedan with rear-wheel drive and a V8 engine option, but Holden did its homework. After countless focus groups, surveys and studies, it found the average consumer wanted to see the Commodore name live on. So, here we have it. Because the Commodore isn’t simply the sedan you can get a bonkers V8 engine in, it stands for much more. It’s a family car; it has transported Australians and their kin for decades. Right now, the 2018 Commodore sure looks up to the task to continue what it does best. We have to remember, just because there’s a V8 engine option doesn’t mean every single Commodore buyer has opted for it. Whether the whole “what’s in a name?” idea comes back to haunt Holden remains to be seen. But, considering the brand is on course to rewrite its history for the better, everything will probably be okay. We’re living through rock bottom; it’s a time when the wounds of local manufacturing are still fresh and need a few more licks. No, it’s not the Commodore we know and love, but it will likely usher in a new era of what locals can expect from a car for Australians, even if it’s built in Germany. Great article! At the end of the day, it’s all about the substance behind the name. And the 2018 Commodore looks to carry the new form of modern GM engineering and product: lightweight, good road manners, and lots of tech. This is a global market, and this brand is now poised to receive the best of what GM can offer in terms of mainstream and premium vehicles. No doubt, the beloved RWD-based Commodore and its siblings will pass on with their stellar performance and optional V8 rumble, never to be replicated by GM’s FWD-based engineering. But this doesn’t mean the new FWD-based product cannot carve its own new path of better quality, good handling, and killer good looks! There are simply more mainstream buyers that want this kind of car, thus, the new Commodore is exactly that! I believe this car will do fine because it’s made to cater to the mainstream market! Good job GM! If it were up to me I would have renamed it. But in today’s market names mean so little anymore with so many names on the market. Most people would have trouble naming half the models of one brand unless they were a real enthusiast. The way it is today if you make a compelling great car in looks, quality and style it will sell no matter what the name is. Auto loyalty is not like it used to be as even people are now defecting from Honda and Toyota. The market has changed down under and the V8 is not selling like it used to. As for being a small market it is hard to continue a car that is not sold in great numbers else where. The loss of the exhaust sound is for sure a sad thing but this car will serve well and many will embrace it as I suspect it will be a very capable car. The RWD car was not going to challenge the incoming imports from Mazda and the other Asian brands that are taking more and more of the market. Sad but true. A great car will always sell well because it is a great car. If the Insignia is that car then don’t call it something else, it deserves its own identity. By calling it something else has a hint of deception about it and is a little patronising in that someone doesn’t think we are mature enough to handle the reality that the Commodore is dead. The Commodore will be remembered for what it was and we will move on. I don’t understand this Commodore discussion. In history most Commodores were rebadged Opels, where’s the problem? If you miss the RWD take an AWD. It’s all about giving credit where it’s due. Would you like someone else to take the credit for work that you did? You got it all wrong, none of the Commodores were simply re badged Opels, far from it actually. The design was taken from Opel and totally re engineered. 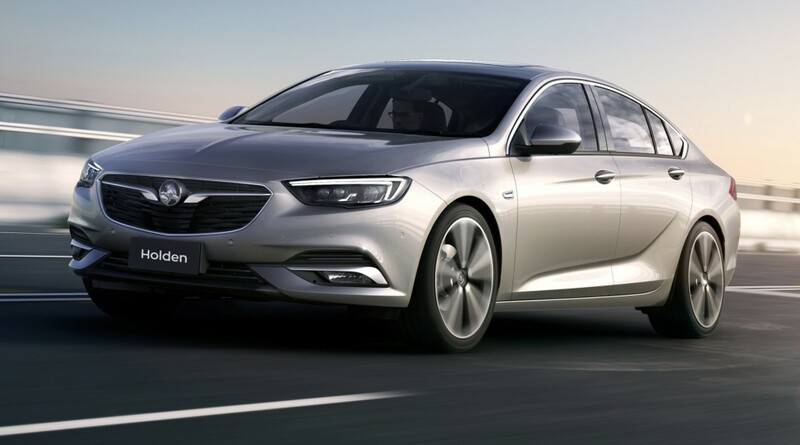 Holden designers and engineers had an Impact on the engineering of the new Insignia/Commodore. There were also many test drive sessions in Australia. So I am sure this car will fulfill Australian standards. Interesting article. As a owner of a three year old Commodore bought new and still getting offers and marketing stuff by mail and email from Holden, I’m hurt that I was never asked what I thought of the idea of keeping the Commodore name. If they had of asked I would have said ‘no’. This ‘the Commodore was an Opel ‘ is getting old. The Commodore became fully Australian with the release of the VE. It’s been years since they moved on from Opel. Commodores are an Australian made automobile. Made in Australia. True Holdens are made in Australia. They are Australia’s own car. Just like the FJ or the FC or the EH or the HT or the HZ or the VS or the VF. Captiva, Colorado, Barina, Malibu or Insignia are cars made by someone other than Holden and not made in Australia. When Australia no longer has a car of it’s own is Holden still relevant ? ?